The sweeping victory of the rebels at Lewes had a profound effect on England. A Parliament was summoned that for the first time included commoners as well as nobles and clergy, the king was to be answerable to Parliament and to a Council of Nobles and government documents were to be published in English as well as in Latin. The battle itself began on the downs northwest of the town when the rebels launched a surprise dawn assault on royal scouts about where the racecourse now stands. The fighting then spilled southward as the rebels advanced and ended outside the priory with total defeat for the forces of King Henry III and his son Edward (later Edward I. This book brings an exciting new look to the medieval wars of England. The course of the war is given, but the emphasis is on the battle and the men who fought there. There are detailed analyses of weapons, tactics and strategies, tactical diagrams explain how the troops formed up and moved, and a study of the commanders. The course of the battle is followed with the aid of maps, relating to the ground today - much of which is little changed to the present day. The aftermath of the battle, its effects and importance to the progress of the war are then described. Local resident Maria Caulfield lives in the village of Falmer, just west of Lewes. 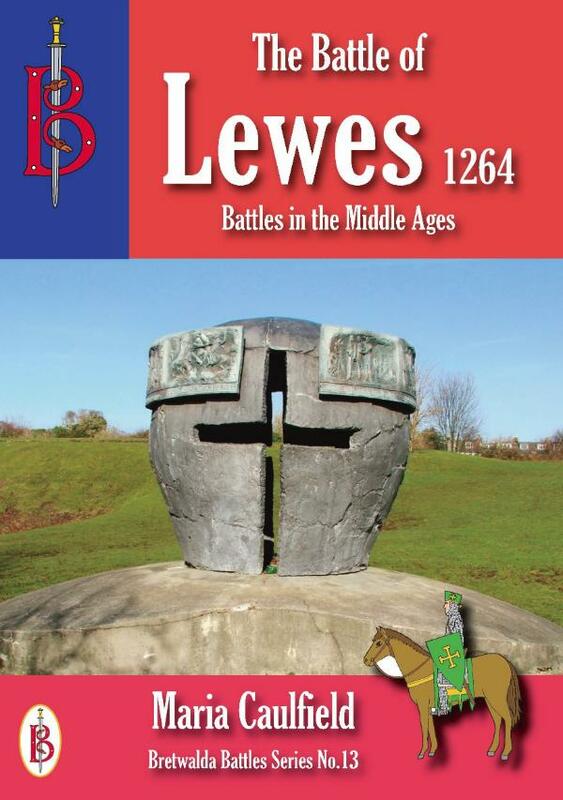 She has long had an interest in local history and has been inspired by the great political reformer, Simon de Montfort, who won his great victory for the people of England at Lewes nearly eight centuries ago. She works as a Cancer Research nurse at the Royal Marsden Hospital in London specialising in the field of breast cancer research.